One: I just want to brag on myself and say that I am super impressed that I've taken this series into part SIX. Who knew I had so many things to say about running? Two: On last week's post, I got the best comment ever! --->Molly said this: During my run this morning I thought "Oh! It is Wednesday! Amanda will have her running post today!" How awesome is that? I had no idea anyone even noticed I've been posting these on Wednesdays! I'm not even sure I noticed I was posting these on Wednesdays! So thanks, Molly! You made my day. I really hope you guys have been encouraged, inspired, and educated by these posts, and I also hope you've been enjoying hearing from the featured running bloggers! Hopefully by now you're in the right mind-set, you got fitted for some shoes, you made a training schedule, haven't gotten injured, and are learning how your body reacts to fuel before, during, and after running. Now for part six. 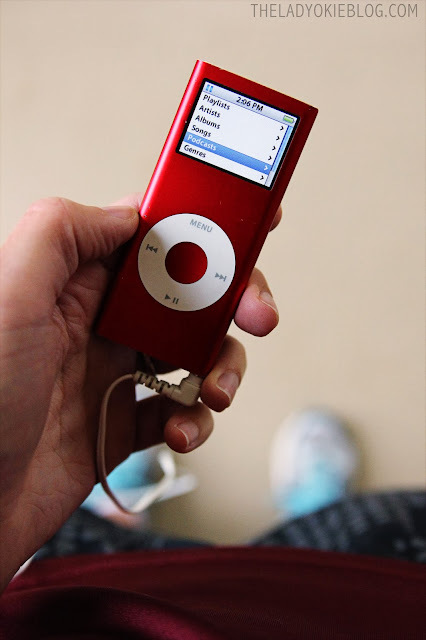 I'm calling today's post "The iPod Edition" because we're going to talk about the age-old question I get from people who don't understand how I can actually look them in the eye and say running is fun: Don't you get bored? Honestly? Yes. Sometimes I want nothing more than to claw my eyes out because I'm so bored, but for the most part I have way too many thoughts to work through to keep me occupied for days. You really don't want to know what goes on inside this brainy head of mine. Besides my thoughts, I also have my ipod to keep me company. 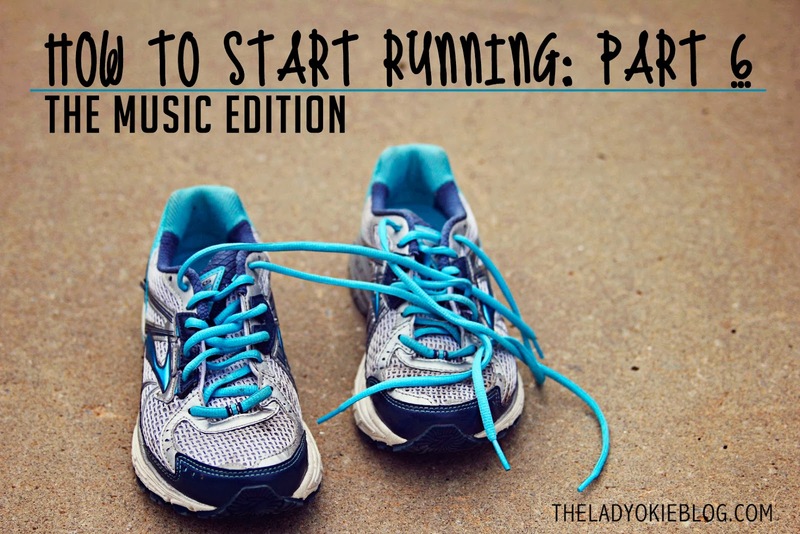 I know there are runners who debate the merits (or not) of running with music, but I love it. To each his own. And so, today I want to share some of my favorite running songs and podcasts that keep me company as I wind away the solitary miles through my neighborhood. Old-school nano for the win! I hate that I love this song, because I probably wouldn't want to run into Chris Brown in an alley after dark, but this jam seriously has saved my race more than once. For some reason it has the perfect beat for me, and I just get into a groove and play this on repeat for a good long while. Once I played it on repeat for the last 45 minutes of my half marathon because I needed the beat to keep me on pace. One Republic is awesome in general, and this song is the best for keeping me on a good beat. Another play-on-repeat-for-45-minutes song. Give it a listen and tell me I'm wrong. I recently discovered this podcast and have been enjoying it quite a bit. The episodes are 30-40 minutes and cover interesting topics about everything from "Women and Wine" to whether or not men are more forgetful than women. And, if you notice in the above picture, the topic of the day is "lady farts." If that discussion doesn't keep you occupied while running, I really don't know what will. I also just listened to one about Instagram, which was really interesting. Yes, Jillian Michaels sounds like a man. And yes, she's kind of crazy. But I have started to enjoy these podcasts. Each is about 40-50 minutes long and made up of 2-3 segments, where she talks about fitness, weight loss, her own life, and answers call-in questions from listeners. I especially likes when she talks about The Biggest Loser. 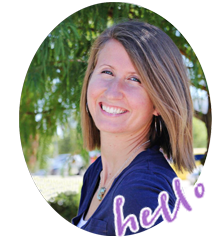 During one I listened to last week she called Bob Harper! I think it's the weirdest thing ever to listen to a sermon while running, but for a reason I can't explain, I love it. Matt Chandler is the pastor at The Village Church in Dallas, Texas, which is where my parents go and where I go when I visit them. He is a great preacher, and his 45-minute sermons are perfect for my shorter 3- and 4-mile runs. Here is an mp3 link to an excellent sermon on abortion that I listened to a few months ago. Whatever side you fall on the issue, I would absolutely love to hear your thoughts on this sermon if you ever get the chance to give it a listen. I don't love this podcast, but I like it. You understand the difference, yes? My main problem is the MC, whose hyper voice annoys me. But if you can get past that, I do enjoy listening to a podcast about running while I'm, you know, running. Plus, they're about 60 minutes long, so I can get in 6 or 7 miles during an entire show. Similar to "Stuff Your Mom Never Told You," the Freakonomics podcasts cover a host of awesome and interesting topics. Most recently I listened to one examining whether or not having a baby girl increases a couple's chances of getting divorced. So that's it! I usually alternate between podcasts and music depending on the length of my run and how I'm feeling. 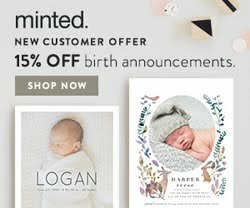 Now I'd love to hear from you! Any podcasts or songs I should add to my ipod? What is the most played song on your running playlist? Are you a fan of running with music or without it? Don't miss today's featured running bloggers! 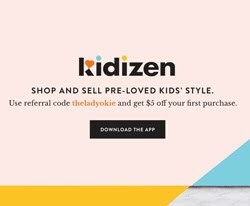 Grab a button and link up on Friday with your post! *I am not a personal trainer or physician. This post is not intended to offer medical advice. Contact your doctor before beginning a fitness routine or if you experience pain while exercising. Love Freakanomics. We also like Wait Wait Don't Tell Me. I never thought about downloading podcasts to listen to while I run. I do get bored of the same music over and over, so maybe I will have to check some of these out, thanks!! And yay red iPod twinsies! I will be so sad when mine dies. It's THE BEST. I need to check out those songs, chances are I've heard them, but don't recognize the names. Ha! If you like Freakanomics, you should try Radio Lab shorts. Thanks so much for the shout out and linking up! I always feel so awkward on the behalf of people I see running without headphones. What do they think about? They must have a lot of entertaining things going on in their brains because I would be so bored without my music! I love to listen to the "Wait Wait Don't Tell Me" podcasts during my runs. The time flies! Awesome! I'm going to check that one out. Thanks! My sister-in-law always listens to sermons on her runs. For years I thought she was crazy...this year I decided to try it. I must admit, I like it...I like the extra focus on important things. 45 minutes on repeat! Ha, that was funny to me. Want to know my two 'go-to' songs ... get ready because they are ghetto 1. Party Like a Rockstar (edited version of course) 2. Wanna be a baller. Me and my work spouse used to run together a lot and we always knew when baller came on because we put our hands up like a rapper. It's much more entertaining in person. I also have listened to sermons while running. It keeps your mind distracted by the miles. So, will there be a 'how to run part 7'? I'm definitely going to write an FAQ post, and then I think the series will be over! It's been fun, but I don't want to drag it out too long, you know? Seriously, running is, like, therapeutic! There's no problem a 2 or 4 hour run can't solve! For me it was time with God, time with myself, and/or time to jam out to some tunes! Okay--I don't listen to music anymore when I run--but this has gotten me motivated to do that again!! And podcasts? Literally never crossed my mind--but I bet I would LOVE it. Thanks for the suggestions! Thank you so much for continuing to do this! I'm loving this little series. I was actually reading blogs and downloading music/podcasts last night so this couldn't have come at a better time, thanks for the suggestions. I like to listen to Nightline podcasts - is that weird? I was really really hoping you'd do a music edition for this series!!! Whenever I run (and keep in mind I usually only run about three miles...but I like to think I run it pretty fast!) I stick to heavy pop punk or sometimes electronic music. I love these suggestions! Woo! Glad I posted on music, then :) And don't say "only" 3 miles. That's a lot! Totally checking out "stuff mom never told you". Thanks for sharing! Thanks for including podcasts! I've been thinking about putting an audiobook on my iPod for my longer runs, but podcasts seem better-suited! Another mother runner is a great podcast to listen to! I am excited to check out the podcast you recommended! I'm adding that one to my list. Thanks, Heather! When I first started walking, I didn't bring music, but when my walks turned to runs, I added music because my mind was my worst enemy when running. I focused too much on how running wasn't fun, hurt, was hard, etc. Music keeps my mind off the hard parts, and actually motivates me. Now, I cannot go out there without my headphones. I'll have to check out those podcasts! I recently signed up for Audible and I've been listening to books when I work out. Of course, then it's hard to stop listening when the workout is over! So podcasts would probably be better since they end in a more reasonable time frame. I used to not be able to run without my headphones! I literally didn't want to hear myself breathing bc I was convinced if I heard myself breathing hard I would think I'm tired and then want to give up! But then I realized I needed to pay attention to my breathing so that I trained myself to do it correctly and come to find out some races don't allow you to have headphones at all. So to break myself I started to run still with music bit without the headphones...I just let it play out loud and now I can run with or without them. I tend to switch it up now-I keep them off for road running (for safety) and whe. I'm running on a path or in a park I usually jam (my favorite is the Oldies right now!) especially if its a long run. I have been thinking about listening to a podcast or audio book lately so thanks or the suggestions! I'm definitely going to check them out! We love Freakonomics. Also, Stuff You Missed in History Class is another really great podcast if you regret not paying attention in high school. I've learned so many cool things! I love Jillian podcasts - mostly because I think her and Janice are hilarious. 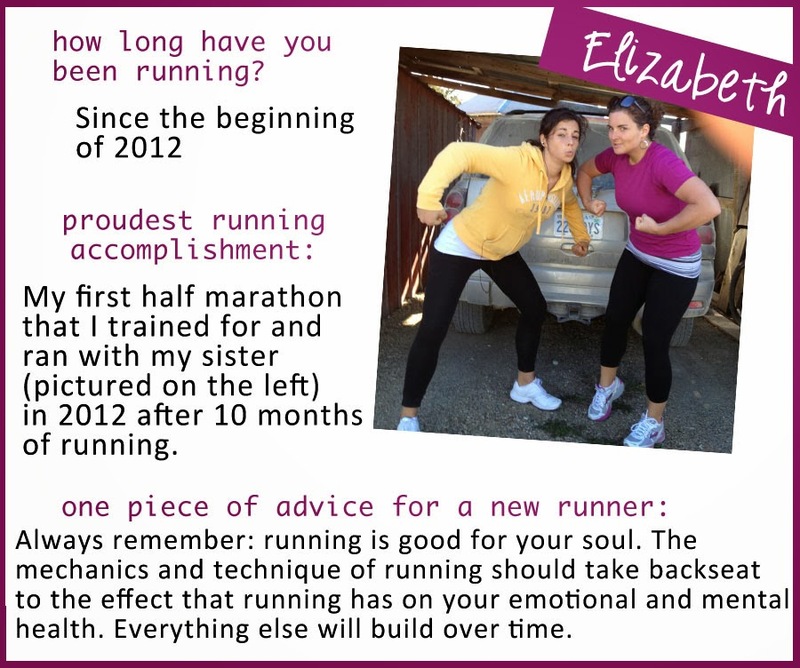 I also like "Another Mother Runner" - though I'm not a mother, these 2 ladies give GREAT runner info. And I enjoy sermons from Steven Furtick at Elevation Church! Haha I laughed about your Chris Brown comment! I feel the exact same way. I hate that I love his music! That's a good idea to listen to a podcast while running. I once had the idea to listen to an audio book while running but never went through with it cause I thought I would end up not liking it and I didn't want it to mess with my run. Might be good to try a podcast first! Thanks for sharing the info and linking up with Emily and me! I used to listen to music all the time, but now I listen to podcasts more than anything else. My favorites are Jillian Michaels, Half Size Me (a weight loss/maintenance blog), and The Nutrition Diva. I try not to rely on listening to music/podcasts too much as I don't want them to be a crutch. And whenever I run with my husband, I don't listen to anything. Even when I'm too winded too talk, I enjoy just running in silence with another person. Thanks so much, Jen! Glad you're enjoying the series :) I'll have to check those podcasts! I feel you on running in silence with someone, though. I do that too! I don't tell you this on Twitter, but I've loved your running series! 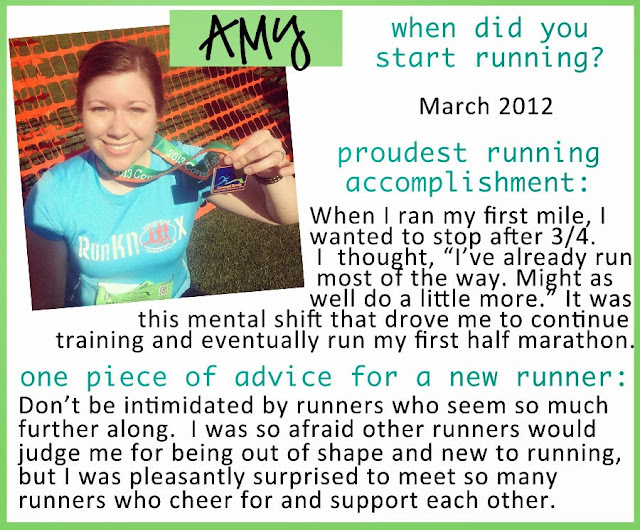 Your posts and tweets have really helped encourage me as I begin the running journey. That sounds way overdramatic. But, thanks all the same! I am going to have to check these out and catch up on your other posts on running. I actually just started back into runner and before I wouldn't have even considered myself a runner but now I am actually turning into one and am planning on doing a 1/2 marathon in the Spring. Quick question: how do you download the podcasts? do you get them from itunes store or somewhere else? I have never downloaded one and want to try listening to one while I am running. Hey, Brittany! You can go to itunes and download all the podcasts I mentioned in this post for free! It will download to your computer, and then you have to manually load the episodes onto your ipod. Good luck! I love listening to podcasts while I run or walk and am always looking for new ones to add....thanks for sharing! I was never in the military, my fiance got me started on these, but I listen to military cadences when I run. You know, the ones you always see in movies when they are in formation, running and singing/yelling. Yep those. I haven't found good songs just yet that a beat I like to run to.